My coach Cliff and I spent the first Friday and Saturday of June at NSSAF Track & Field Championships. We both coach young athletes. We were hanging over the track fence, watching the hurdles event, as we discussed this part of the film- both having seen it the night before. Then we began talking about the mental aspect of running in context of my run across The Gambia. After a lengthy discussion, Cliff agrees that being mentally tough is important but isn’t the full equation. “People don’t talk about spirit enough. About a runner’s spirit. It’s about a runner’s spirit,” he says. I like this thought and I’m going to believe it to be true. It got me thinking about what contributes to spirit. For me, first and foremost, I love to run. Pure and simple. But I think that some other things help either to strengthen spirit or to protect spirit. Some concrete things definitely help. My real life (read non-running life) is with my husband and he’s really important to me. He knows that I love to run and he generously makes room in our family life for me to do it. The person closest to a runner, a spouse or partner, certainly has the ability to crush a runner’s practice of the sport they love. The partner could be intolerant of time spent on long runs and at track practices. The partner could complain about money spent on sneakers, dryfit and absurdly expensive packaged sugar in semi-solid form. The partner could be unsupportive and refuse to listen to the runner talk about their sport. I have a husband who supports me 100%. I believe that this protects my spirit. 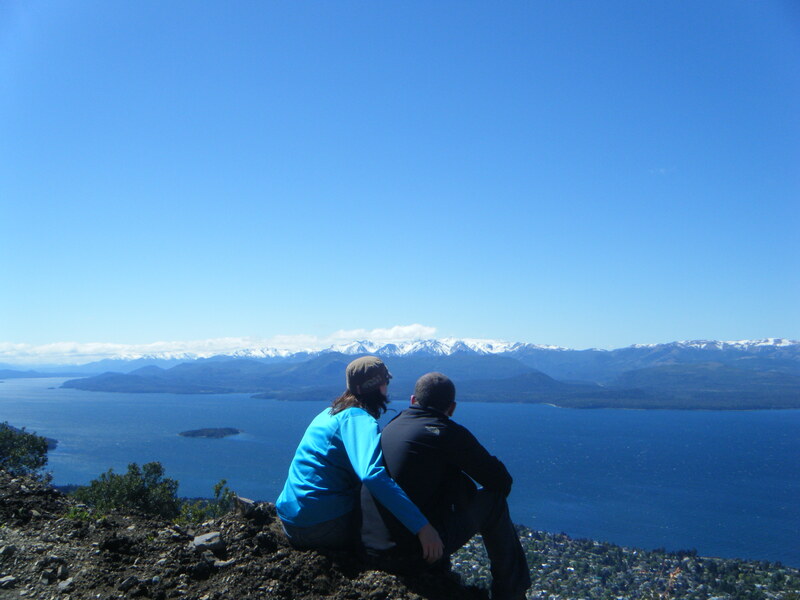 You can read more about my husband’s perspective on my love for running here. I am a high school cross country and track & field coach. Being a part of growing our next generation of runners is plain good for the spirit. Coaching at Nova Scotia’s Provincial Championship required all coaches to spend a precious Saturday coaching. 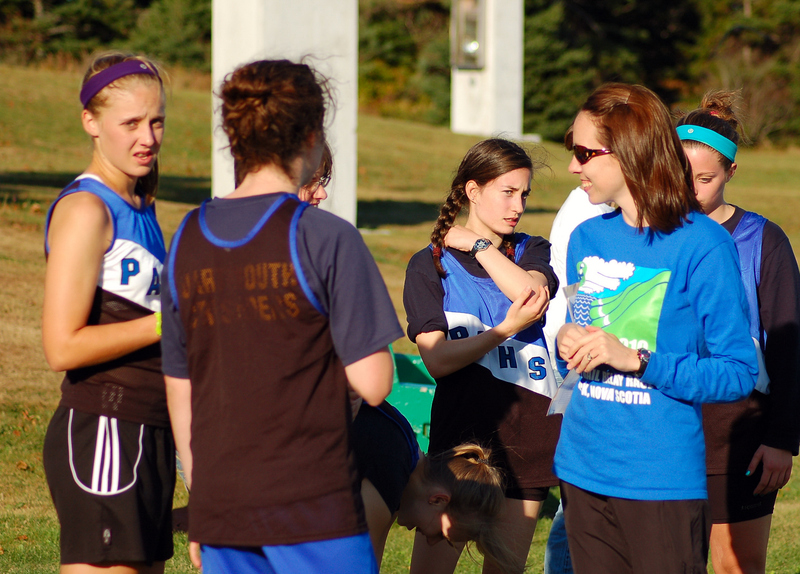 I admit that I begrudgingly got out of bed that morning, devoting half of my weekend to being a coach. At Provincials, one of the Saturday events was the 4 x 100m relay. A team sport. My co-coach and I had been working hard with our senior boys team. They needed a lot of practice to fine-tune their baton exchanges. We trusted them to put in the work. The guys asked me to switch their running order 2 days before the meet. I asked them to make a case for why I should let them do this and when they were compelling, I agreed. Only to find out 15 minutes before their race that the newly anointed lead runner had never run out of starting blocks before. I decided to trust them again. And gave lead runner a speedy lesson on how to run out of the blocks. I stood nervously on the sidelines as the gun fired. I watched our newly placed lead runner. He was born to lead a relay. He exploded quickly and powerfully out of the blocks and got the team off to a strong start. Runner # 2, our fastest runner, so placed on the backstretch because it’s the longest of the 4 legs, demonstrated how correct I was to trust the guys when they asked to switch up their order. He killed the second leg and the boys executed a flawless exchange in the 200m zone. Boy # 3 ate up the track on the curve. The boys executed another faultless exchange while our anchor, Boy #4, finally began running in the exchange zone before receiving the baton. He reeled in 3 teams on the homestretch. Our boys finished 2nd in the heat. In a relay, all 4 runners finish in different spots on the track. I watched them run towards each other and proudly hug each other. In that hug, you could see triumph, brotherhood. I would get out of bed on my day off 10 days in a row to help make that happen again. When they got back to me, they were so thrilled. Boy # 3, a grade 12 student, said that it was so fun that he wanted to do it again, right now. As it goes, 4 teams in the 2nd heat of this timed trial clocked faster times. Our guys finished 6th in Nova Scotia which we are pretty damn proud about. Our high school’s annual Athletic Awards were also held in June. As a coach, I find award nominations difficult- I want to give everyone an award. Nonetheless, it’s a pretty special night. Every year, watching my athletes glow with pride and success replenishes my love for my sport. This run is an interesting variable that can have a big impact on love for running and on spirit. If you have a weekly mileage goal and a busy real life, then you are undoubtedly looking at a few early morning runs. As a person who loves run and loves sleeping equally, I have to negotiate my relationship with the early morning run. I hate getting out of bed. Especially before my early-rising, hard-working Acadian husband. But I know that I’ll feel fine once I’m on the road. Then once I’m on the road, I know that I have a choice to make. I can choose for my early morning run to be one of the best parts of my day. Or I can choose to allow it to feel like tedious, arduous work. I almost always go with “best part of the day.” Surely, this helps a girl’s spirit. The reward for this long training cycle comes July 3, when I depart for The Gambia and begin the run of my life. 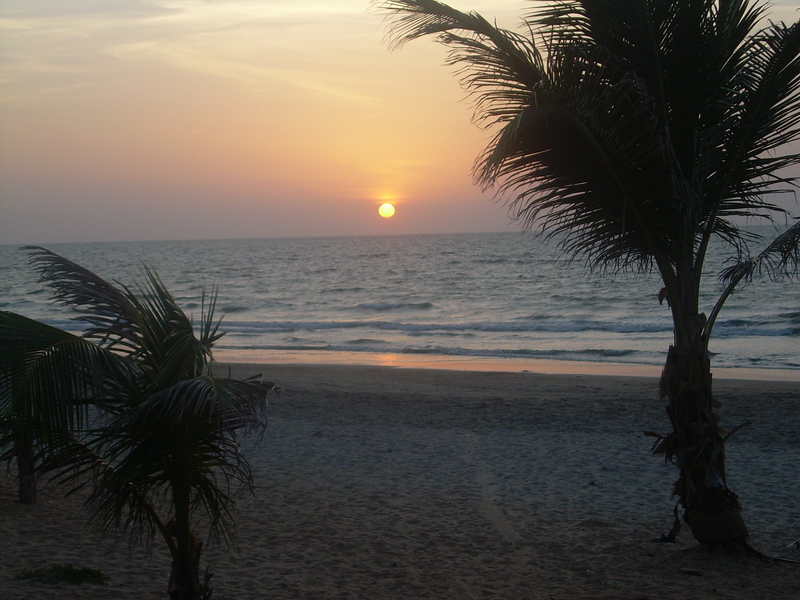 I think about The Gambia a lot. I think about the Nova Scotia-Gambia Association’s programs and about how they change and save lives. I think about the crowds of kids who will chase me yelling “Toubab! Toubab!” (affectionate name for a foreigner). I think about how the Atlantic Ocean will look and feel after 17 hot days of running towards it’s inviting shore. I think about how the waves will sound. I think about my Gambian brother. I sing Philly Lutaaya’s song, Africa’s Anthem Against AIDS to myself. All of these thoughts help my spirit. 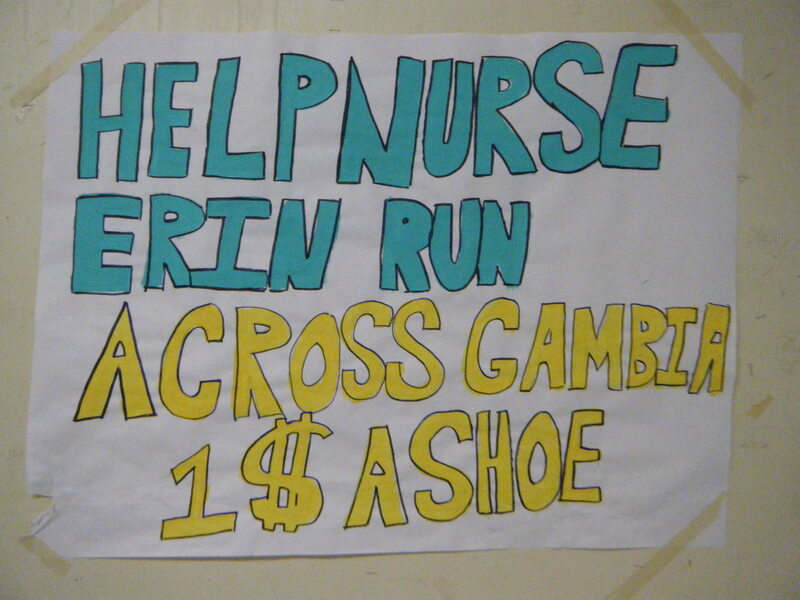 The youth and staff at my school, Prince Andrew High, have embraced my Love4Gambia campaign. They have been selling pink paper sneakers for 1$. The sneakers read “I can make a difference one kilometer at a time.” They sign their name to their sneaker and have been posting them all around the school. 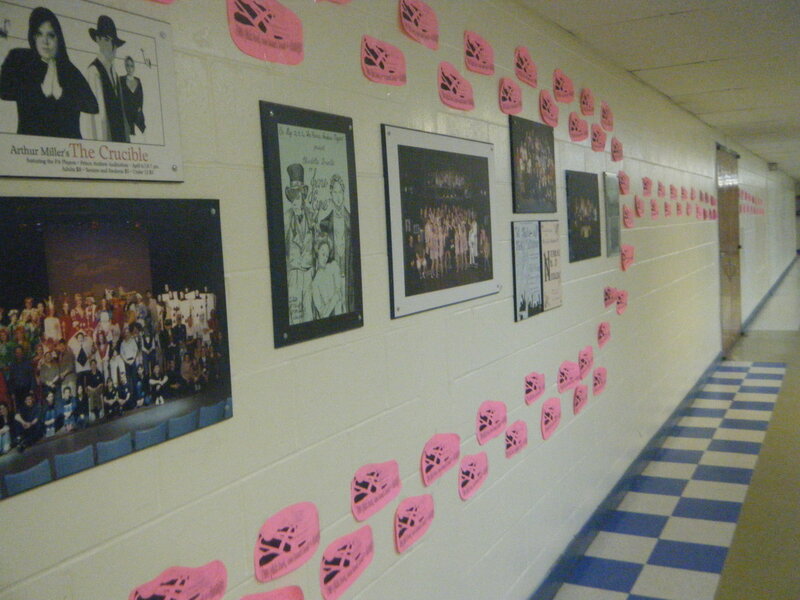 When I walk into the building each morning, I see a wall of pink shoes and I know that a lot of people are behind me as I undertake this running expedition. This helps. A lot. I leave you with proof. This entry was posted in running and tagged coach, early morning run, Gambia, Ray Zahab, Running the Sahara, spirit, training. Bookmark the permalink. Great job Coach, marathoner, wife, daughter, and nurse just to mention a few. Your spirit will carry you and hope our thoughts, prayers, good vibes help put the wind at your back and carry you over you 430K quest. You are making a difference, never forget it. Like Dawn said, you are making a difference. And from reading this post, you are not only making a difference in The Gambia, but also every day that you work and coach. You should be proud of your team, as well as your school. Most importantly, you should be proud of yourself because of the change you have inspired!